It seems the BOM "homogenization" scandal has a long way to run with Deniliquin joining the list of Australian stations mysteriously changing from a cooling trend to a warming trend. It is interesting that the BOM was used as an expert body to justify New Zealand's temperature record tampering where cooling records were adjusted to warming. SOME of Australia’s long-term temperature records may contain faults introduced by the Bureau of Meteorology’s computer modelling, according to a widely published expert. David Stockwell said a full audit of the BoM national data set was needed after the bureau confirmed that statistical tests, rather than direct evidence, were the “primary” justification for making changes. Dr Stockwell has a PhD in ecosystems dynamics from ANU and has been recognised by the US government as “outstanding” in his academic field. 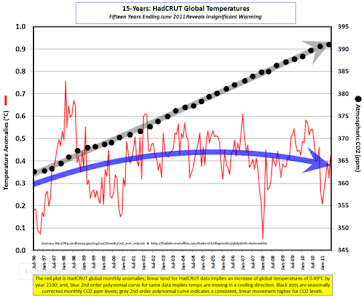 His published works include a peer-reviewed paper analysing faults in the bureau’s earlier High Quality Data temperature records that were subsequently replaced by the current ACORN-SAT. Dr Stockwell has called for a full audit of ACORN-SAT homogenisation after analysing records from Deniliquin in the Riverina region of NSW where homogenisation of raw data for minimum temperatures had turned a 0.7C cooling trend into a warming trend of 1C over a ­century. The bureau said it did not want to discuss the Deniliquin findings because it had not produced the graphics, but it did not dispute the findings or that all of the information used had come from the BoM database. Faced with a string of examples of where the temperature trend had been changed after computer analysis, the bureau has defended its homogenisation ­process. 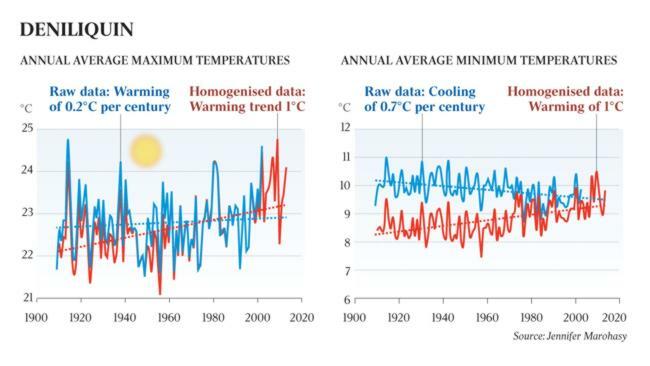 It has said that while some ­stations may show anomalous ­results, the overall record showed a similar warming trend to that of other inter­national climate ­organisations. Dr Stockwell does not suggest that the bureau tampered with the Deniliquin data but that the ­bureau may have placed too much trust in computer modelling. “The discontinuity at Deniliquin is not seen in the raw data and so must have been introduced by the homogenisation process,” he said. Asked to comment on Dr Stockwell’s findings, the BoM said it “does not routinely comment on unpublished third party ­research”. In his peer-reviewed paper on BoM’s former High Quality Data set that was replaced by ACORN-SAT, Dr Stockwell said warming may have been overstated by 31 per cent. 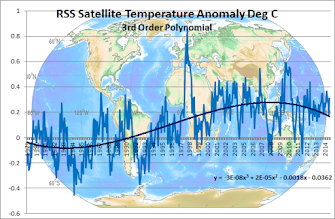 The quality of the ACORN-SAT data has been defended by David Karoly from the University of Melbourne, and Andy Pitman, director of the ARC Centre of Excellence for Climate Systems Science at the University of NSW. The bureau has said adjustments were made to records after comparison with other sites and to take into account changes in ­location or instrument. Good post! We need to stay alert.